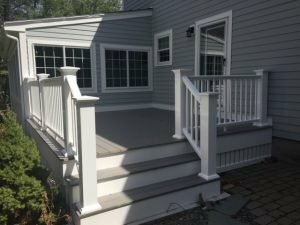 When planning your deck, having a professional deck builder will eliminate problems and ensure you will be happy with the end results. 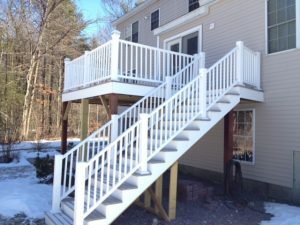 Quinn’s Construction has over forty years’ experience building decks and porches of all different shapes and sizes. Let us help you determine the size, design, and materials that will meet your needs and fulfill your dreams of an outside haven. Our extensive experience in building decks has given us the knowledge that Azek makes the best deck products in the industry. We have never heard a negative comment about an Azek product installed by us. The quality of Azek’s Deck built by Quinn’s Construction – Deck Builder in Massachusetts decking, railing and trim products makes it an easy choice for your next deck project. Careful planning is the assurance of a good finished deck. 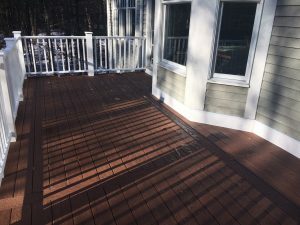 Quinn’s Construction provides building plans that are permit ready and a design that brings your dream deck to reality. 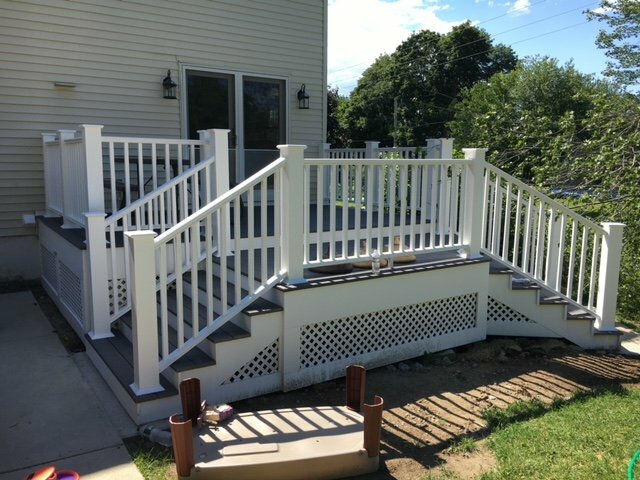 We listen to our customers and deliver the deck they have been dreaming about. 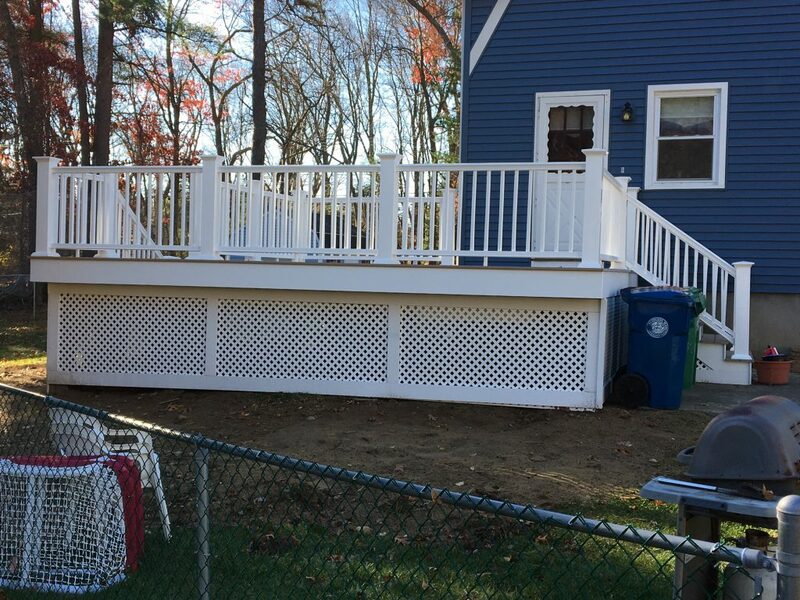 One of the most important things to consider in deck design is how the deck is flashed and attached to the home. Poor installation can lead to rotted sheathing and framing on the home. Footings are another consideration. 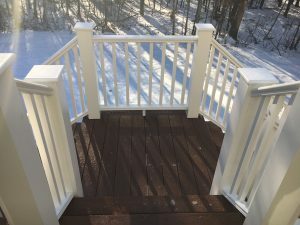 When considering railings Quinn’s Construction will show you options that best fit the conditions surrounding and on your deck . 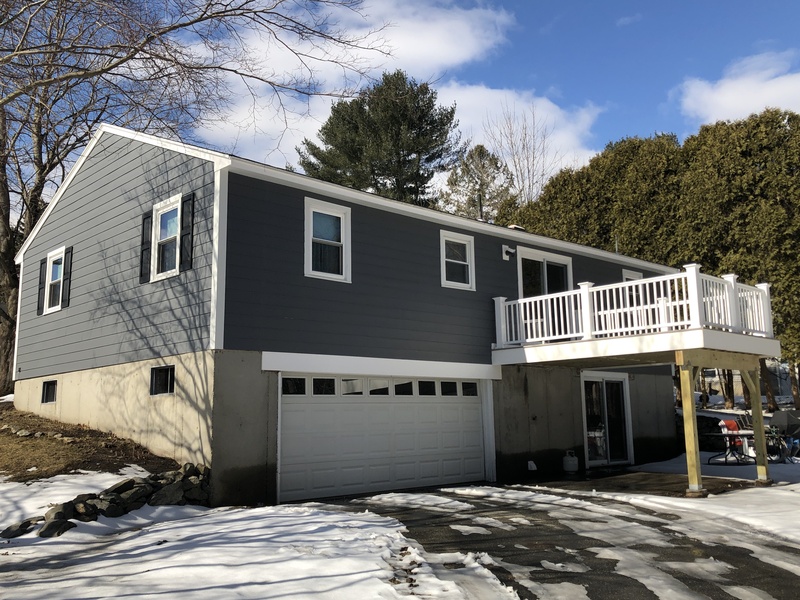 Stair placement, traffic paths, furniture placement, and uses are all key in determining how much space is necessary, what specific structural components are needed and how big a deck to build. We know how to build decks. To avoid a disaster, it’s critical that it’s built right. Proper flashing will prevent moisture and water seepage into the house. Proper framing is key. Quinn’s Construction exceeds building code requirements for a stronger structure and support of Azek decking. For added stability, durability and strength, Quinn’s Construction uses framing materials and methods to ensure that you will have a deck that will support anything you plan on putting on it, ie; jacuzzi, large party, etc and last a lifetime. 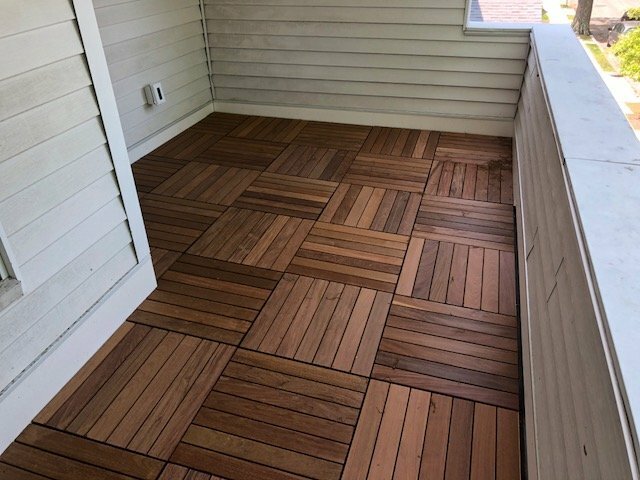 Quinn’s has been building decks for forty years and we can help you build the deck of your dreams with the proper design and materials that will last a lifetime. 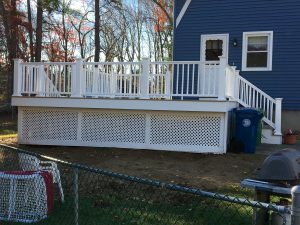 Have a look at our deck portfolio to view a variety of decks we Decks that are built right, by a quality deck builder, last a long time!have built recently. When you are ready to take on that new deck project for your home, remember Quinn’s Construction, and give us a call (978-957-1200) for a free consultation. We have built hundreds of decks and we can take your dream for a new deck and make it a reality. 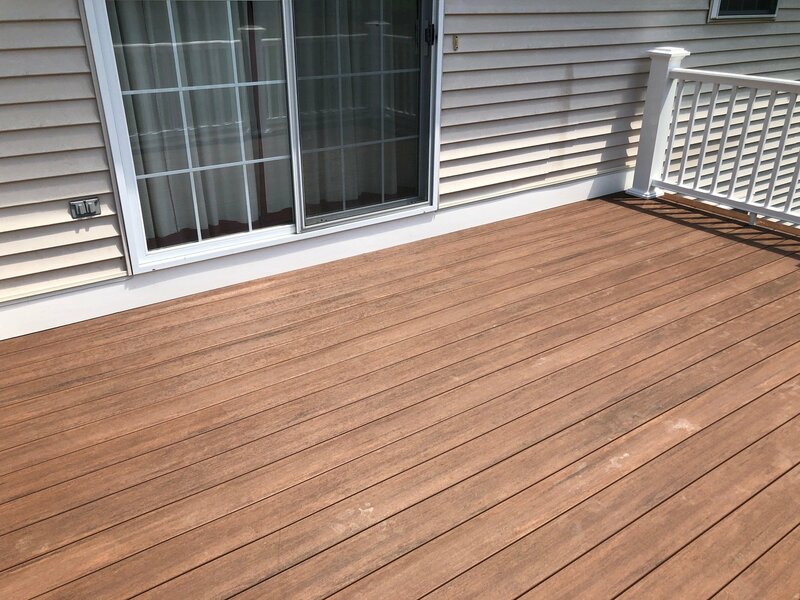 From the first phone call to the final view from your new deck, you’ll see the difference choosing Quinn’s makes for your deck addition.